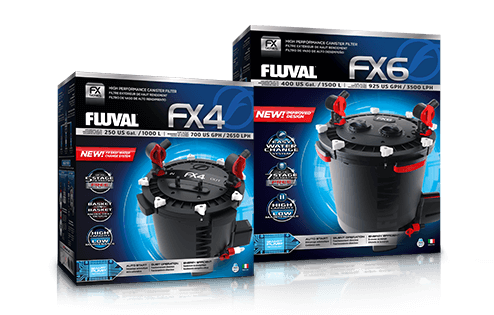 Designed to handle aquariums up to 400 gallons, FX is a high-capacity workhorse that is highlighted by patented SMART PUMP™ performance-optimizing technology, a built-in powered water change system, and a basket-in-basket tray design for ultimate media flexibility. 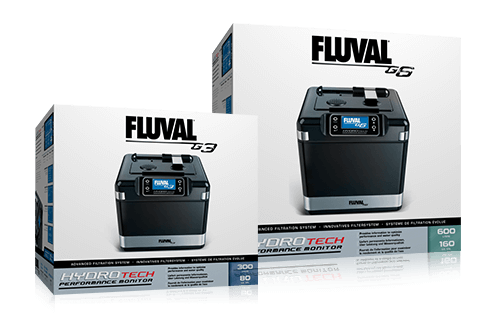 With its powerful motor technology, quiet operation and clever modular design, the 06 Series not only delivers big on performance and functionality, it’s also regarded as one of the most dependable lines of multi-stage canister filters ever built. 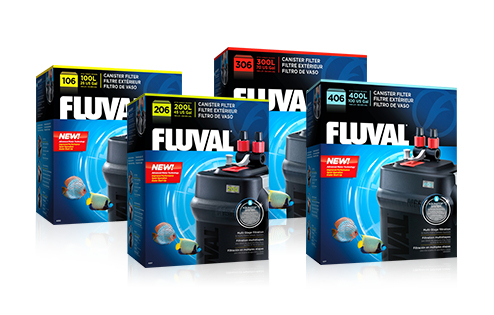 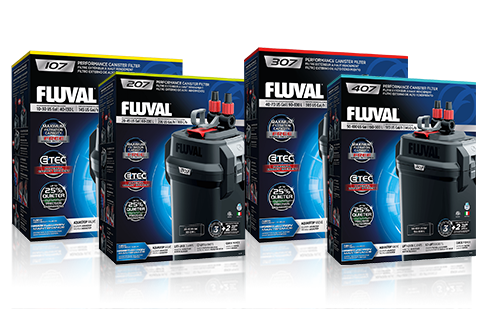 Fluval G series redefines aquatic filtration by offering a 3-stage filtration, exclusive Hydrotech™ monitoring technology, digital maintenance scheduling, and Fluval’s Quick-Release-System for direct cartridge access.